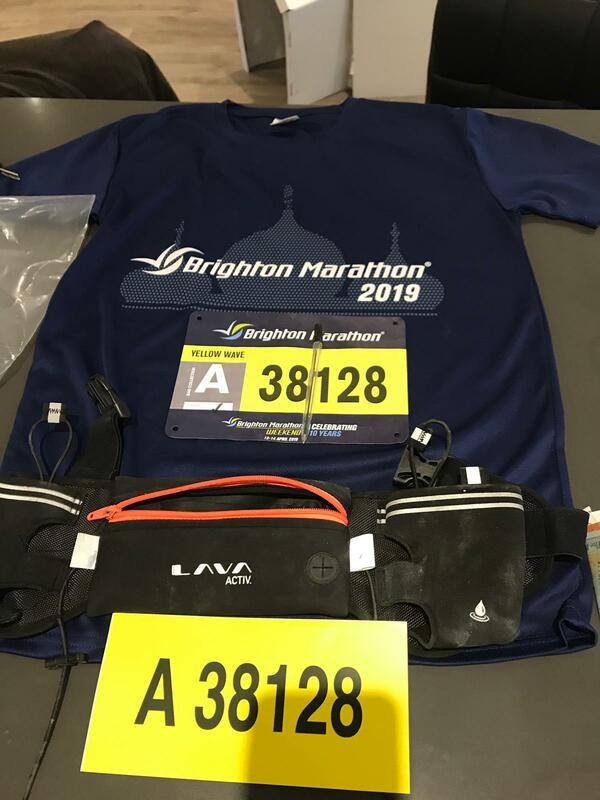 In bitterly cold and windy conditions the #FabFour team representing Jigsaw (South East) all finished the Brighton Marathon on Sunday, raising around £2400 for the East Grinstead based bereavement charity. 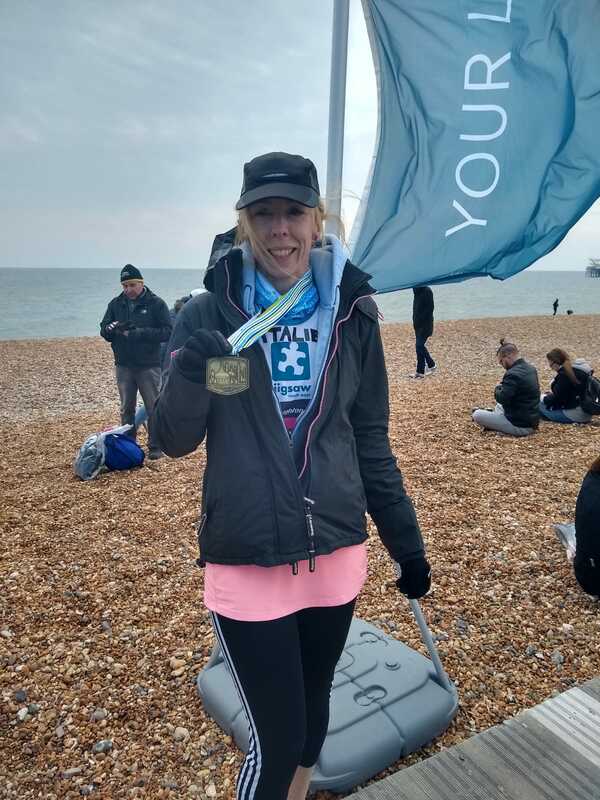 “I’m chuffed to bits I ran under four hours,” said seasoned runner, Nicola Bishop from Ardingly, who was the first of the #FabFour to cross the line in a time of 3:49.04. 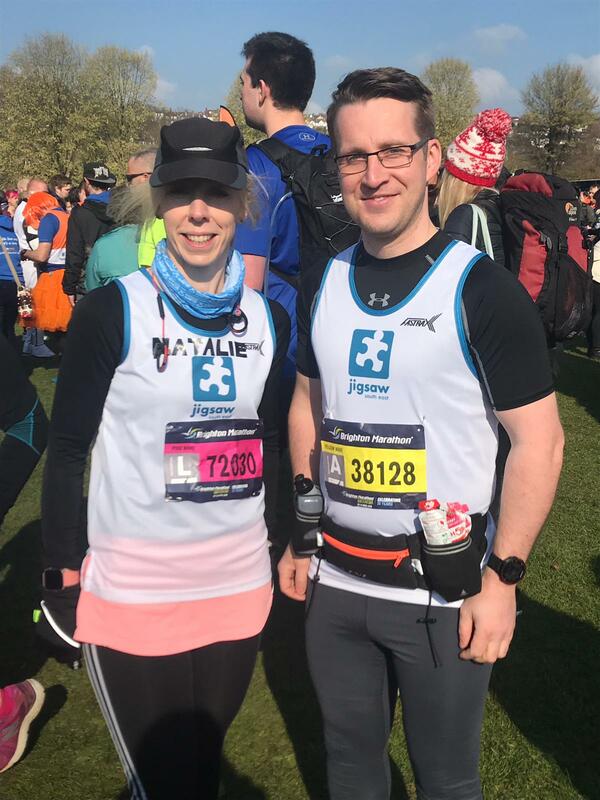 Nine years ago she had vowed, “never to run a marathon again,” but she was inspired to return because of the work of Jigsaw (South East). 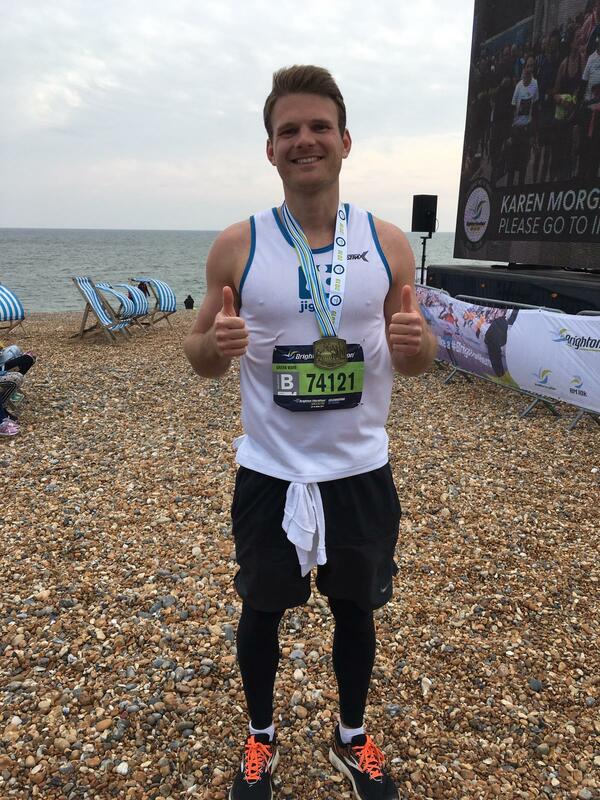 “The race was really tough but the support was absolutely amazing. The hardest bit was the final three miles, running into that wind went on forever. I celebrated with my family at home and had a hot bath and a beer!” Nicola said. “I’m not going to lie it was tough and there were a couple of times when I wasn’t sure I would make it,” said our second #FabFour finisher, Doug Bewley. East Grinstead based Doug only decided to run a week ago, after work commitments stopped him from training. 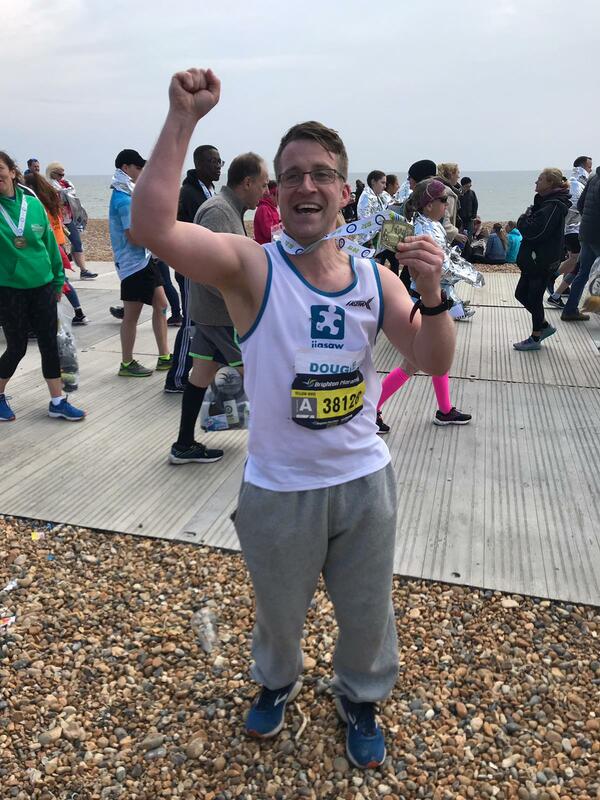 “I knew I had to pace myself properly and try and run a smart race, unfortunately after 28 km the legs gave up and kept going into cramps and pain. When it got difficult, I shut out my surroundings and concentrated on each step. Then I brought out my secret weapon and started playing the Greatest Showman soundtrack. 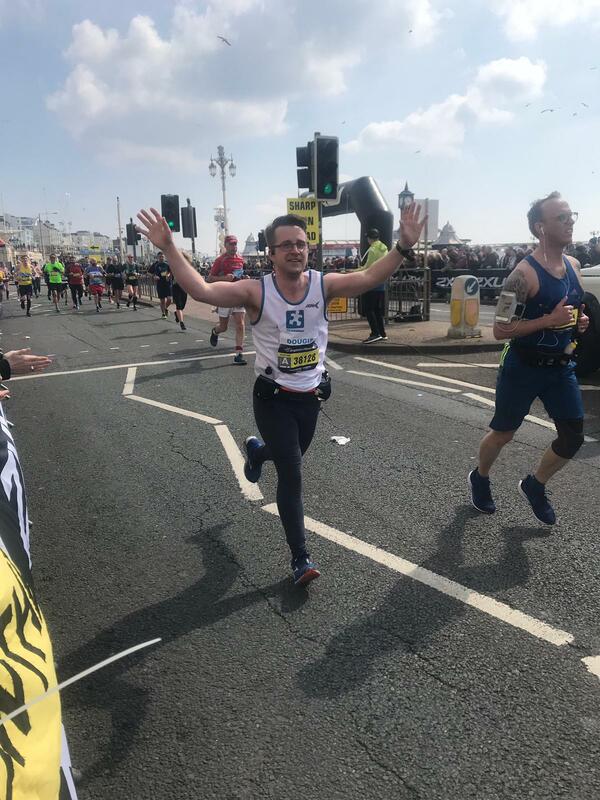 This music, coupled with my fear of letting down Jigsaw enabled me to muster the last ounces of mental strength to push hard to the finish line.” Doug added. He finished in 4:39.07. First time marathoner Natalie Moon was just behind Doug. Natalie, who lives in East Grinstead, only started running four years ago, in a bid to get fit before she turned 40. A year later she completed a half marathon and it had been her goal to step up the distance. She did this in some style, finishing in 4:47:08. 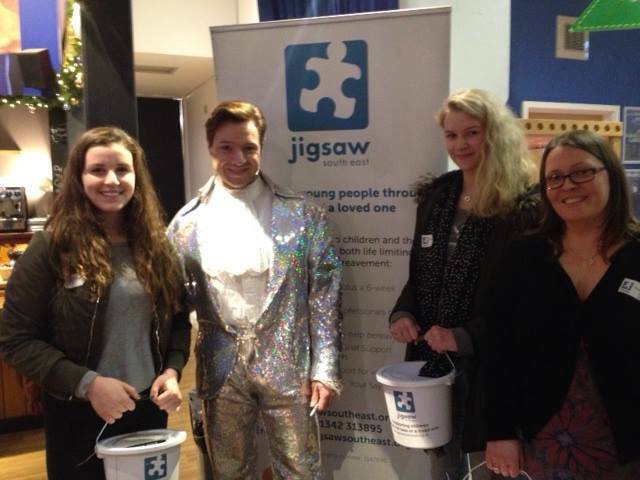 “I used to work for Jigsaw and the work it does is so important. 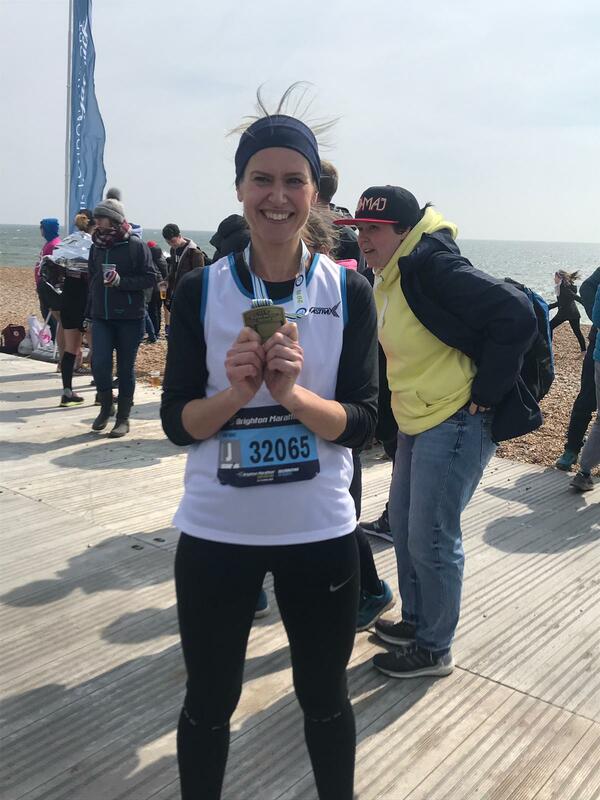 I know people who’ve been supported by the charity, so by running the marathon I have raised money for a great cause.” Natalie said. “Who needs to train? It’s just a light run.” Horsham based Adam Hinds had joked before the race. Like Natalie this was Adam’s first marathon. 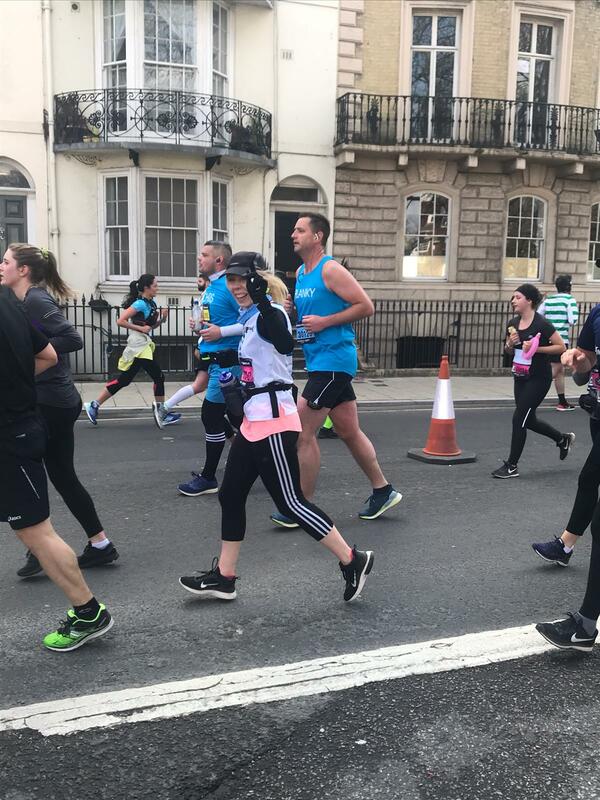 “I’m a terrible runner but I pushed myself to see what I could achieve.” Adam said. He finished in 5:12.15. Based at East Court Mansion in East Grinstead since 2006, the charity offers support to children and young people who have a family member with a serious, life-limiting condition. It also provides grief support to children and young people who have experienced the death of a significant family member through illness, accident, suicide or murder (through groups in #Reigate and #Guildford and #East Grinstead). You can still support our #FabFour. Horne Park Golf Club – Charity of the Year!